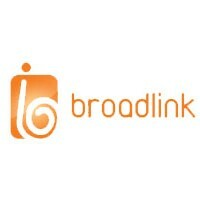 Home » BroadLink Network and Communication Pvt. Ltd.
Over the past decade, Internet has become an critical part of their living. Students, homes, schools and businesses connect to the internet today to carry out essential such as studies, news, communication and social network. Leaving behind the conventional ways of connecting to the internet, emerging in the recent years is the Wireless Internet Service, where people can access the internet without the hassles of wires, fiber other forms of commercial network cabling. Boom in technology recently which has brought to them the likes of tablets, smartphones including a wireless television, cameras, printers and anything you can imagine has made the demand for wireless internet even more desirable and on demand. Broadlink Network and Communication Pvt. Ltd. has become one of the first Wi-Fi internet service providing company since 2006. In addition, to providing internet service, they also provide internet telephone service ( BroadTel) for residential and business purpose. In comparison to other service providers, Broadlink’s innovative wireless technology provides customers with added convenience and mobility. They claim to be one of the cheapest, convenient and mobile internet service provider with the utmost service quality. Creating a trustful and transparent environment Broadlink has been providing its Wi-Fi internet and telephone service within every category of customers. Broadlink provides the advantage of availability of their Wi-Fi internet and telephone services in almost of the major cities of Nepal throughout the nation. Since the establishment of the company, they have extended their coverage in more than 80 cities throughout the nation and still growing. They proudly claim to be the only internet service provider in the country with single tariff throughout the nation in all the places where they have their presence.